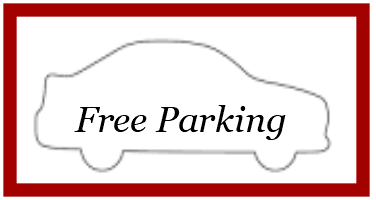 Complimentary parking: Parking is free in the lot located on the corner of Hanover and Front Street. Parking Deck: Parking is also available in the Wilmington Convention Center parking deck. $3.00 for first hour, $2.00 for second and third hour, $1.00 thereafter to a maximum of $13.00 daily. For detailed information about the parking deck location, click here.